When was the last time that you really enjoyed some ‘me time’? 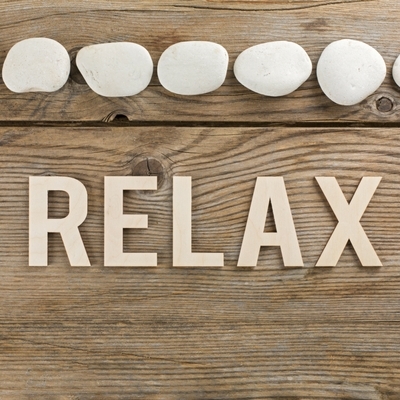 Giving yourself time to truly relax and unwind is important for mind, body and soul. A spa day brings both mental and physical health benefits, helping you to recover and reset. Whether it’s an afternoon of relaxation using the spa facilities, or a day of luxury treatments and therapies, we have you covered at the award-winning Devonshire Spa. Is there anything more relaxing than submerging your whole body in a hot tub? We think not! Thermal facilities such as hydrotherapy pools, saunas and steam rooms are particularly beneficial for blood circulation and overall regulation of blood pressure. This leads to the production of endorphins, the body’s “feel good” hormone. Massage therapies are also known for their stress-busting benefits. During a massage, serotonin and dopamine are increased resulting in a feeling of calm relaxation. Most spas use stress relieving products with soothing scents like lavender, eucalyptus and aloe to relieve stress and send you into full tranquillity. Physical health benefits can be gained from various therapies and treatments. In particular, the heat from saunas and hot tubs relieve aches and pains caused from joint issues such as arthritis and fibromyalgia. The jets in hydrotherapy pools have messaging effects which is known to relieve muscles tension in your neck, shoulder, thighs and feet. If you’re receiving treatment for a muscle injury, consult your doctor before visiting a spa. Exfoliating scrub treatments provides health benefits by detoxifying the skin from built waste, bacteria and dead skin cells making you feel invigorated with soft, supple and hydrated skin. Ingredients in scrubs and exfoliates contain natural elements such as soil and clay, bursting with vitamins and minerals, leaving you with healthy skin and an enviable glow. Because the skin is the largest organ in the body, it is important to keep it healthy so it can fight off environmental toxins effectively. Massage therapies not only train our bodies on how to relax, but it also benefits us by improving our breathing. Respiratory issues, such as allergies, sinus problems, asthma and bronchitis, are one group of conditions that can benefit from massage therapy. Regular visits to a spa have also been shown to correlate with improved immune systems. Studies have shown that individuals who visit often have better quality sleep, fewer sick days and hospitalisations. This is due to the increase in blood flow during a massage therapy which stimulates the lymphatic system. The body’s defence is then increased, reducing soreness and swelling whilst fighting off diseases. If you would like more information on treatments and therapies available at the Devonshire Spa, contact our team on 01298 338 408 or click here for more information.